sponsor and has not renewed it's role for Rio. One possible reason? Nike implemented executed a well planned ambush marketing effort. The basics are covered in Ad Age here. 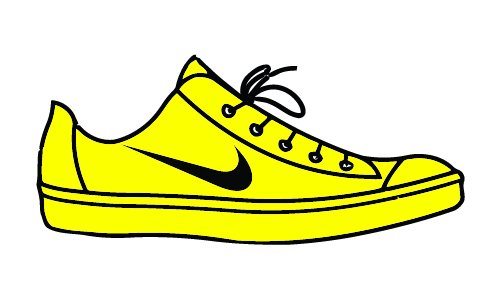 What people saw during the Olympics was a neon yellow shoe on the feet of athletes. The visibility and brand reinforcement, most notably, during track and field, when usually two or three athletes were shown in their events, with their feet seemingly glowing. The shoes were high contrast, visible, and part or many events where the wearers won a medal. The message to watchers, of course - the bright neon shoes helped win medals. "Mr. Lotti believes good Nike products have four elements: performance, emotion (a Team USA insignia over the heart, for example), environment (in keeping with the spirit of this being the first "green" games, the Flyknit is Nike's most sustainable shoe ever) and aesthetics." Only one of the four items is for the athlete: performance. The other three are about marketing, but to focus on the marketing aspect is to miss the big picture. It's the combination of good product and marketing that made the ambush marketing at the Olympics a success. Great athletes wear good products, good products were highly visible during the Olympics. Some athletes won with those products, so Joe Consumer might get the same benefits. It's a simple and well orchestrated marketing effort that leveraged product, celebrities, and distribution.